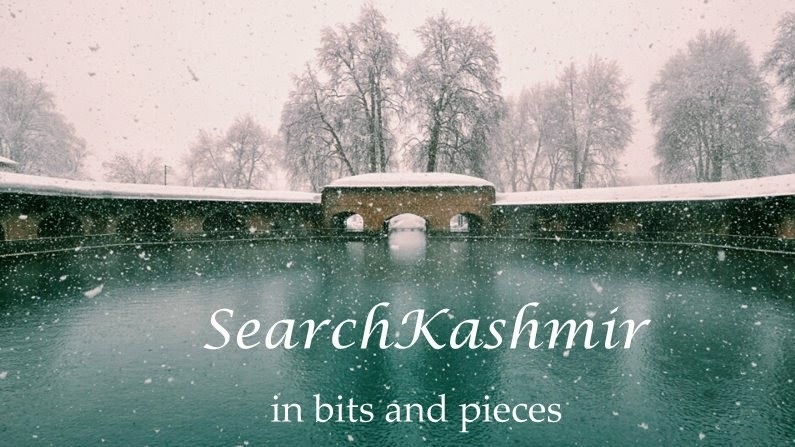 Even at the worst of times, it is only love that reaches out to me from Kashmir. Talked to Posha today. It was after almost fifteen years. That was when she visited our house in Jammu. She talked so fast, so animated, so alive, just the way I remembered her. She talked of old times. Kashmiri flew out of her mouth like little sparrows. I wanted to keep pace. Catch all I could. I needed time to find the right words. To reply. I failed. She talked and I listened. And then all my memories of Kashmir came flooding back. She said I had all grown up. She had brought her young son along. We played 'bat-ball'. I balled and he batted. A debt I needed to pay. She used to ball and I used to bat. She was the first stranger I ever knew. My first friend. When I must have been younger, just a toddler, she too must have sometimes picked me up, hurled me in the air and then caught me. 'Ha'tay'e Posh'ey! Wai Bhagwaan!' Mother must have screamed. And Posha would have just laughed. Today, she visited again and asked about me. My father told her I often talk about her. He then rang me up and handed the phone to her. We talked for a minute. I can't write what we talked about and none of it would make any sense. Even at the worst of times, it is only love that reaches out to me from Kashmir. Veena Didi with Posha's mother Mohul, entering their home. After marriage she has moved to a new place about half-a-mile down the road. Update[26th Feb 2013]: Talked to my mother a few days ago and got the full import of the story. Posha had an accident while riding her 'scooty' around Chattabal. Yes, she drives a Scooty now. Given the serious nature of the injury, Posha decided to get herself checked up at a better hospital in Amritsar. 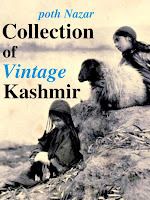 But there was one problem: her husband was in Bung'lore selling shawls and other Kashmiri merchandise, so there was nobody to take care of her three young children. But bones need mending. So Posha left her eldest son with one neighbour, other son at the house of a friend and her little daughter with her mother Mogul. Then she traveled to Amritsar. While Posh was in Amritsar, Indian Government decided to hang Goru and declare curfew in most of Kashmir. Posh was now stuck. But then she remembered something. She remembered she has a place to stay in Jammu. Posha headed straight for our house, house of her old neighbours from Kashmir. She stayed at our place till the road to Kashmir cleared. She slept in the same room, on the same bed next to my mother, a room with more than half a dozen Gods on four walls. She looks so pretty now. No more running nose. She is not the same old Posha now. She works as a laboratory assistant. Draws a salary of 25000. In her toes, she has gold rings. Despite her recent injury, for the time she stayed, Posha, not so quietly, singing some song sometimes, sometims shouting,'Bhabhi, Be havav! Aunt, let me show you how to do it! ', went about cleaning and dusting old cupboards, shelves and clearing ceiling corners of cobwebs. She stayed for two days and then went back to Srinagar after the halaat got better.